The first film about the life of Buddha was Buddhadev which was produced by the famous Indian director Dabasaheb Phalke (1870-1944) in 1923. Two years later, another attempt to depict the life of the Buddha in film was Prem Sanyas (Light of Asia). 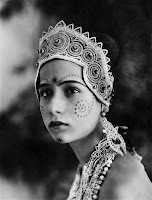 This movie was made by the German filmmaker Franz Osten and the Buddha was played by Himansi Rai (1892-1940). The film’s title suggests that the script was based on the Sir Edwin Arnold’s poem The Light of Asia but, in fact, its contents deviate deliberately from Arnold's book. Prem Sanyas cost ten times more than any other film made in India up to that times and never covered its cost. However it proved to be popular with European audiences and was even watched by the British royal family. 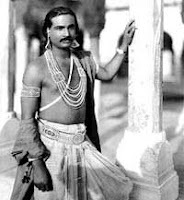 Both Buddhadev and Prem Sanyas were silent films. In 1952, the third feature film representing the life of Buddha, Dedication of the Great Buddha, had its premiere. Teinosuke Kinugasa (1896-1982) directed the picture for the Japanese film company Daiei Eiga and it was nominated for the 1953 Cannes Film Festival. The fourth film about Buddha was the documentary entitled Gotama the Buddha. This black and white film was released by the government of India in 1957 as part of the Buddha's 2500th birthday celebration. Rajbans Khanna was the director and Bimal Roy as producer. It got an honorable mention at Cannes in 1957 because of its stunning beauty. Since then another ten films including two animated films on the life of the Buddha, none of then box office successes. It is supposed to have been dubbed into Hindi as well as English. I am trying to get a DVD but none of the Indian DVD sellers in US seem to have it.